I know, I know. We’re all supposed to be perfect, highly organized, Pinterest-obsessed people who knit their own sweaters and send their kids to school with lunches that look like artwork. And sometimes we are! But sometimes life gets in the way and we need a little… help. Unfortunately, at Halloween, this often means stopping at the local big box store and picking up a costume made by the boatload overseas. While we don’t want to judge store-bought, we do feel that Halloween is one of the best opportunities for being creative. So… drumroll please… we are excited to announce two super-cute, super-convenient DIY Halloween Kits: Butterfly Costume and Superheroes! Everything you need comes right in the box, pre-cut and with instructions. Your kids will have a blast decorating their own costumes and will wear them proudly. You’ll be saved the horror of trying to find a suitable costume amidst picked over racks of polyester. And, most importantly, you’ll be able to spend quality time having fun with your kids instead of running around town. My neighbors gave our costumes a spin over the weekend and, as you can see below, we had a blast! Check out our Halloween kits before things get a little frightening. 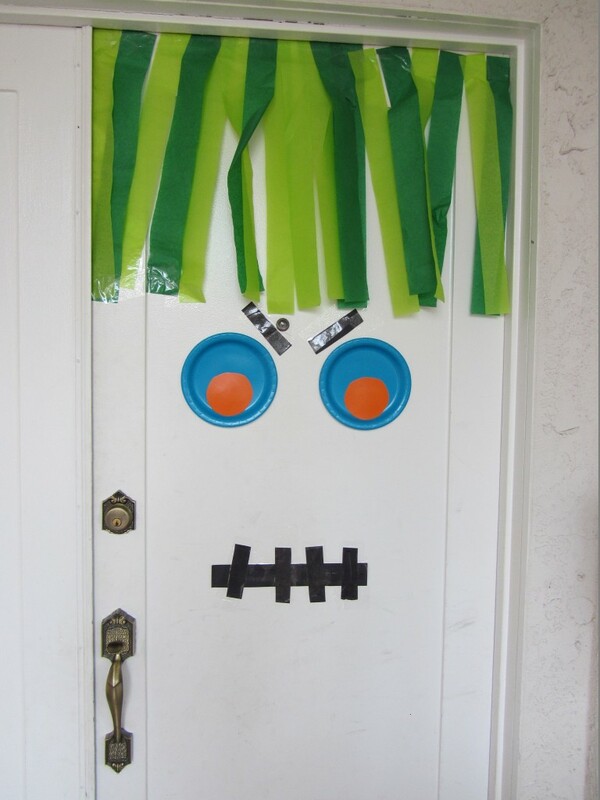 Halloween Inspiration: Silly Monster and Ghost Doors and more!